Connect to any number of structured and unstructured data sources. Join tables from multiple sources with minimal scripting and coding. Easily prepare and analyze big or disparate data sets. Create interactive web dashboards and reports. Sisense is the ultimate business intelligence tool for simplifying complex data preparation and analysis. 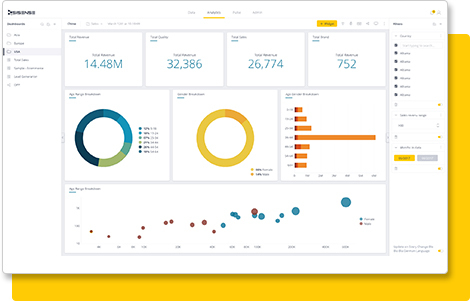 Visualize complex data with stunning dashboards. Your free, fully functional trial of Sisense is just moments away.